What happens when you find out years later that everything you thought you knew was a lie? Can two people who once loved each other overcome the obstacles that are thrown at them and fall in love all over again? Sophie Grates has never had it easy, but she's finding her way through life one step and one day at a time. That is, Until Nico comes in and flips her world upside down. He forces her to see that she cannot live life from the outside looking in and that sometimes you have to step out onto the ledge so you can really enjoy the view. I really enjoyed this series. This one is the last of the series and it was sweet and reminds you that every ones pain may not be the same as your own but is equally important. 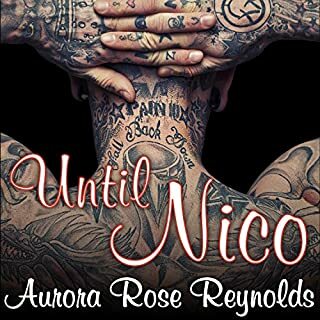 Nico is a great man in this book that chases after Sophie, provides for his family and protects them at all cost. I truly enjoyed this book! Would you consider the audio edition of Walk With Me to be better than the print version? I have not read the print version, so I can not which is better. Being this was in audio my only issue was the narrator. I could not get into the book completely because the narrator's voice would throw me off. It could be just me, but my only issue. I do not know if the narrator could have done better if that is the intended voice. The book made me laugh multiple times! In summary, if anyone is looking for an m/m without negativity, without instant lovers, but two people who are friends and stood the test of time. This is the book I would recommend.